Description: MARCOM's "OSHA Recordkeeping" Poster uses an attention getting graphic and the catchy slogan "Forewarned... is Forearmed! Recordkeeping Helps Keep Us All Safe" to remind employees to comply with OSHA's Recordkeeping regulation. (29 CFR Part 1904). The Poster is 18 inches wide by 24 inches high, and is printed on coated paper in an eye-catching color combination of red, yellow and black. 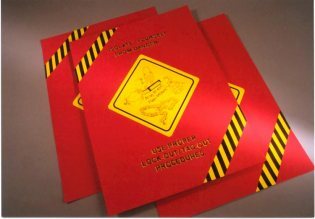 Posters are available individually or as part of MARCOM's two "OSHA Recordkeeping" Regulatory Compliance Kits.